When the clients purchased their townhouse in Tenafly, NJ, they knew this was not their last home. The builder had not installed the backsplash around the kitchen, leaving that to the new homeowners. 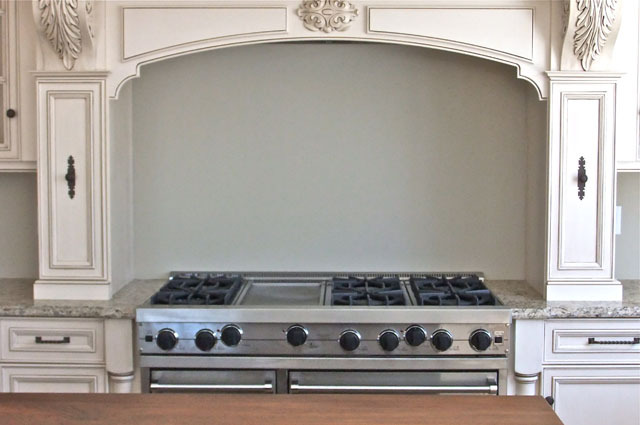 We decided to keep it simple around the room and only enhance and upgrade the area behind the stove top. Since resale was on our minds for the future, we wanted to make it sophisticated, and appealing to the majority of future buyers. By combining several stone mosaics and other natural elements, we created a total design that conveys an elegant, timeless look. 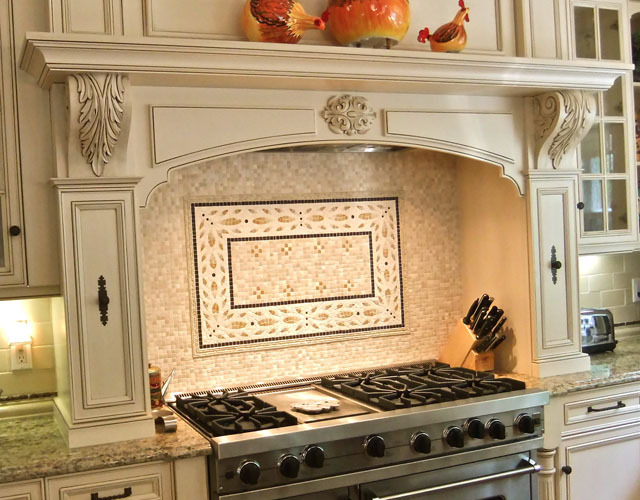 When the townhouse sold, the backsplash was a major deciding factor. 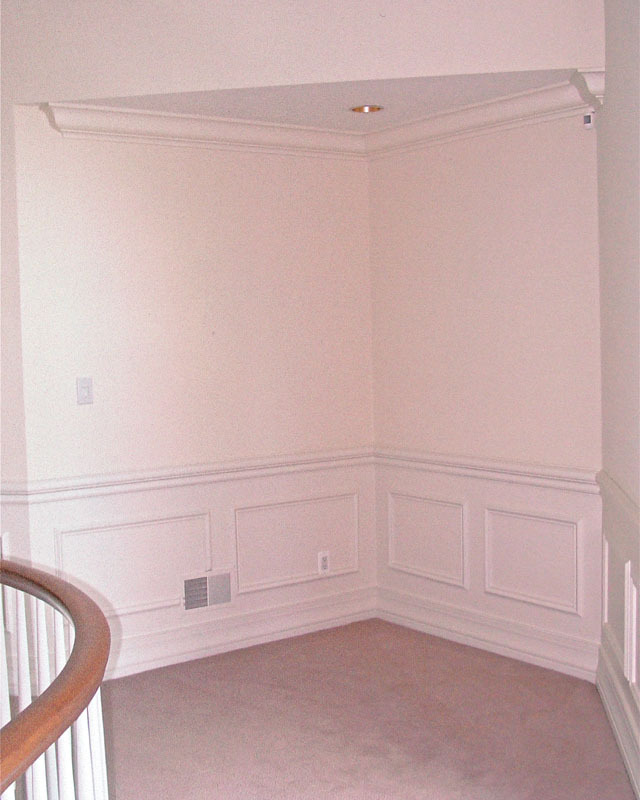 This Franklin Lakes home had two spaces on either side of the upstairs landing that had no real purpose. It was too small for a sitting area. Its location was not right for a library or storage solution. 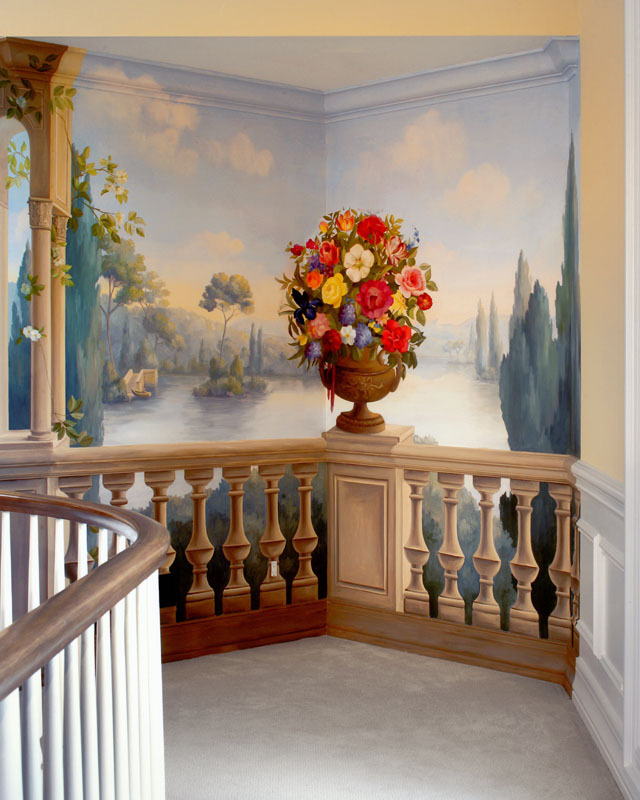 We decided to create a balcony-like design incorporating the actual chair rail into the mural of a view overlooking the lake. Although it is done with paint, it gives the perception of depth and detail that really fools the eye—it is a great focal point and a real work of art. 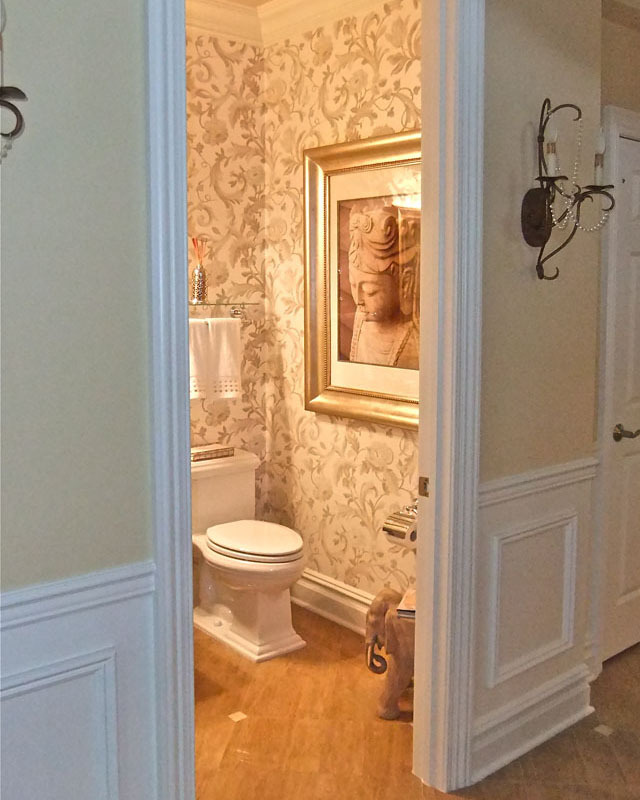 A powder room doesn’t have to be ordinary. In fact, we go to great lengths to make each one eye-catching and memorable. 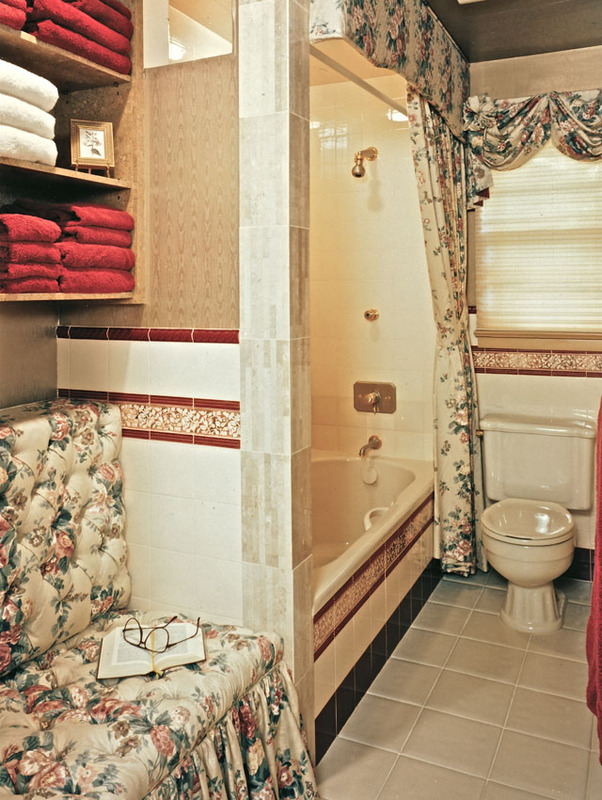 The “bones” of this powder room were okay. 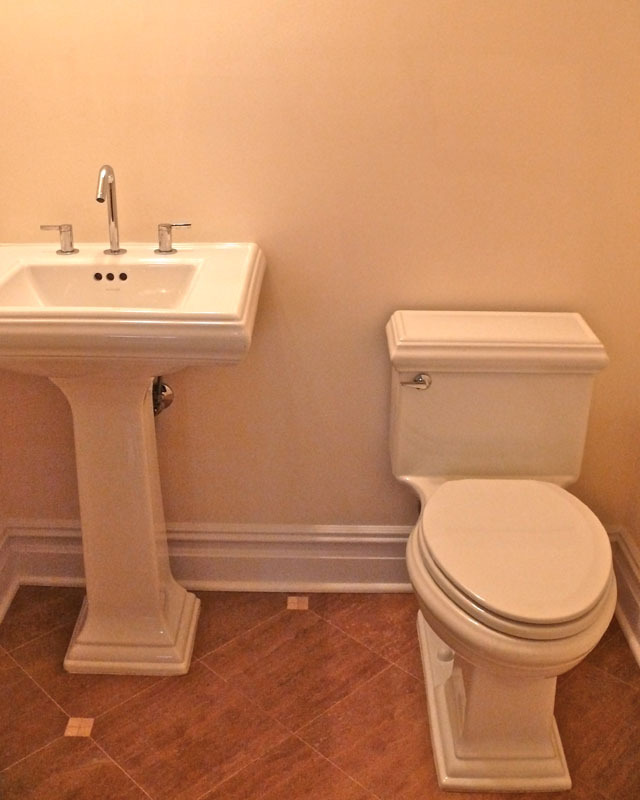 We started with a white transitional pedestal sink, an up-to-date white toilet, and light Emperador marble flooring tiles with cream inserts. Our goal was to make this space soft and sophisticated; more Zen than glitzy. A stylish wall covering in a perfect color to blend with the marble was used to create spaciousness and interest. The photo was taken by the designer (me) in her travels and is of an antique Chinese Buddha. The frame belonged to the client and was re-purposed for this space. 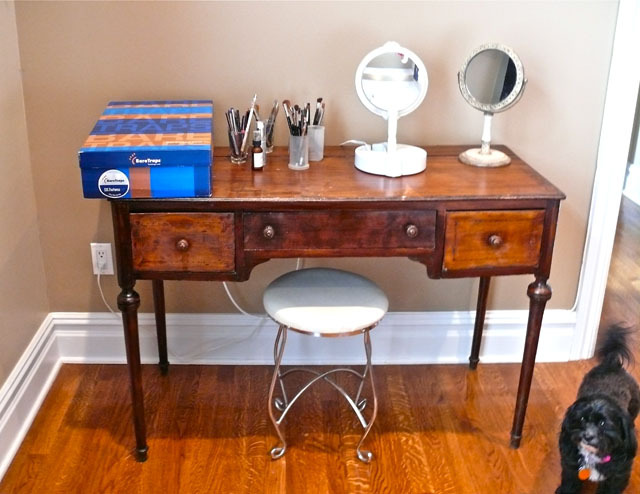 An old desk served the function of makeup vanity and hair blowing station in the master bedroom. This corner got a total makeover! (no pun intended!) 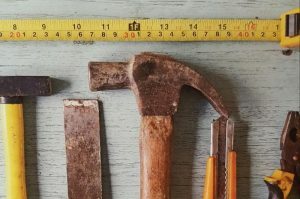 You can see that finding the right selections makes a world of difference. Now my client feels pampered and special. What a pleasure to sit in this inviting spot! 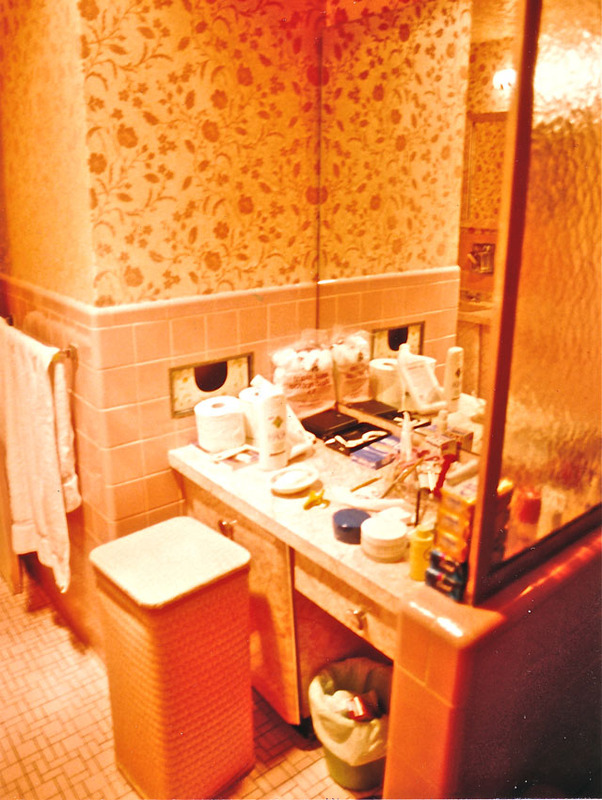 My client in Tenafly, NJ requested one thing: “I want my bathroom to look like my living room.” There were major issues with mold, mildew and humidity in this remodel. The walls were made from plaster and lathing. In demolition we were able to pick up another 4 inches of space! We created an opening for steam to escape from the tub/shower combo and added an exhaust fan with heat lamps that was really exhausted to outside…the old one just vented into the attic! We lengthened and widened the tub area, making it possible to install a whirlpool tub with safety bars and anti-scald plumbing. The flooring was selected for its clean ability and non-skid surface when wet. 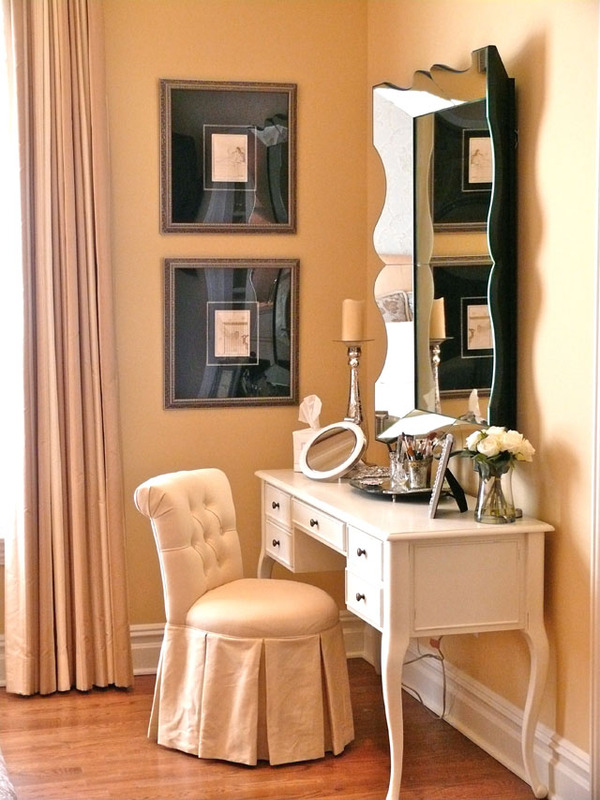 The old messy vanity was redesigned into an area for seating where the client likes to read or write in her journal. The splurge is in the decorative tiles and vertical marble columns. This new bathroom is indeed like her living room. It is her personal sanctuary in a hectic world.